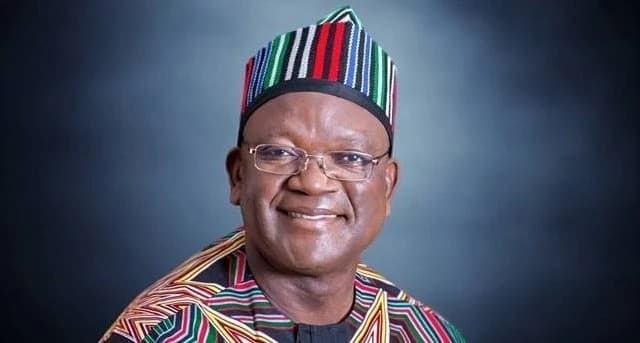 Governor Samuel Ortom of the People’s Democratic Party (PDP) has won the keenly contested Benue governorship election held on Saturday, March 23. Legit.ng gathers that INEC returning officer for the election, Professor Sabastine Maimako, declared the result in Makurdi on Sunday, March 24. Meanwhile, Legit.ng previously reported that Governor Samuel Ortom of Benue state cleared the air about his relationship with President Muhammadu Buhari. Ortom, who defected from the All Progressives Congress (APC) to the Peoples Democratic Party (PDP) said he had no grudges against the president. The governor made this statement at the Nigerian Air Force base, Makurdi, while waiting to receive President Buhari, who was visiting the state. He said: “Mr President is beyond party, he is the president of the Federal Republic of Nigeria and whatever he is doing, it is our responsibility to give him adequate protocol. He is our president, and he is beyond party and so I am doing all the needful. “I have no personal issues with him; we talk about policies and issues, there is no personal grudge."